Nielsen, the global information and measurement company that’s been around since the 1920s, is now partnering with one of the biggest forces in social media. The company signed a multi-year deal with Twitter that will allow them to create a new metric to measure programming’s reach within social network circles. 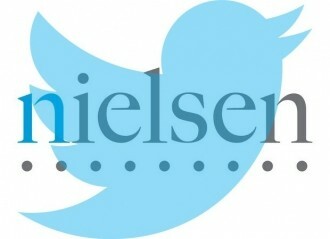 What we’ll end up with next year will be known as the Nielsen Twitter TV Rating, applicable to US viewers initially. The plan is to have the ratings metric supplement existing television data which will allow show producers to better fine-tune interactive content and engagement with viewers. Nielsen also noted that the new ratings will build on top of NM Incite’s SocialGuide audience engagement analytics platform. NM Incite is a joint venture between Nielsen and McKinsey & Co. It’s also expected to give advertisers an even more accurate depiction of the market they are trying to reach. As The Verge points out, it’s no secret that millions of Twitter users tweet during television shows, especially during live broadcasts like sporting events and award shows. Such engagement allows viewers to talk to other people watching the same thing and even chat directly with television personalities as a show’s events unfold. Newscasts and even reality shows are tapping into the potential of social media, urging viewers to send in questions or provide feedback about whatever topic is hot at the moment. Furthermore, a growing number of users are using tablet and smartphone apps to bolster their television watching experience. The service is expected to enter commercial availability at the start of the fall 2013 television season.